They’re not dead yet, but the fat lady might be singing soon. Toys ‘R’ Us has filed for bankruptcy and is yet another brick and mortar casualty to online purchasing. Obviously parents have decided it’s easier to sit in their living room and shop for the new hot toy that little Johnny wants (sorry, it’s 2017, should be what little Liam, Mason or Jacob wants…) instead of parking, wandering around a huge store searching for that special item while their kid decides he wants everything on aisle 14 and won’t stop crying until he gets it. So let’s see—books, electronics, office supplies, toys. What other industry can Amazon kill next? 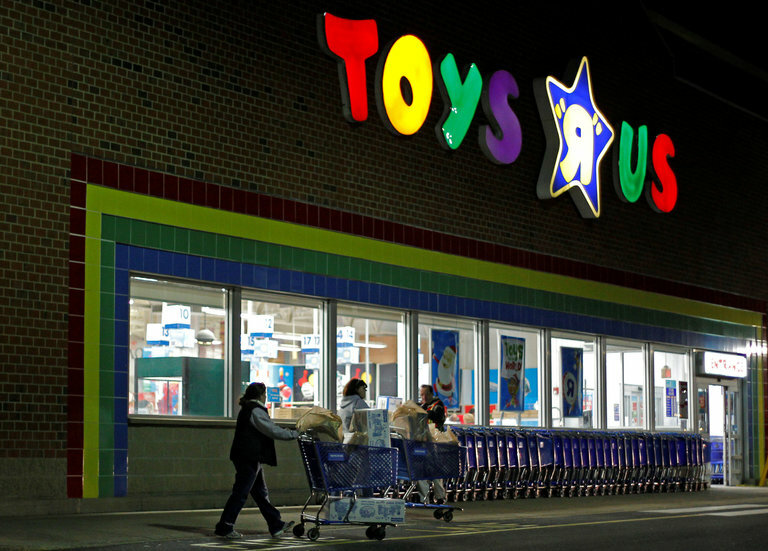 Toys “R” Us, one of the world’s largest toy store chains, has filed for bankruptcy protection, becoming the latest casualty of the pressures facing brick-and-mortar retailers. The retailer, which also owns Babies “R” Us, has struggled to compete with Amazon and stores like Walmart. But the financial plight of Toys “R” Us was exacerbated by a heavy debt load that has weighed on the company for years. The private equity firms Kohlberg Kravis Roberts and Bain Capital, as well as the real estate firm Vornado Realty Trust, purchased the company in a leveraged buyout for about $6 billion in 2005. Toys “R” Us joins a wave of retail bankruptcies this year, including the children’s clothing retailer Gymboree, Payless ShoeSource and rue21, which sells clothing for teenagers. Other retailers have closed thousands of stores and laid off tens of thousand of workers as they try to cut costs and compete with e-commerce. JPMorgan Chase and a group of other lenders have agreed to provide the company $3 billion in financing to help Toys “R” Us continue paying suppliers and employees. “Today marks the dawn of a new era at Toys “R” Us, where we expect that the financial constraints that have held us back will be addressed in a lasting and effective way,” Dave Brandon, the company’s chairman and chief executive, said in a statement.